The Nokia E5 is already on sale in Spain from the hand of Vodafone and Orange. Both companies offer it for 0 euros to hire a data company rate. 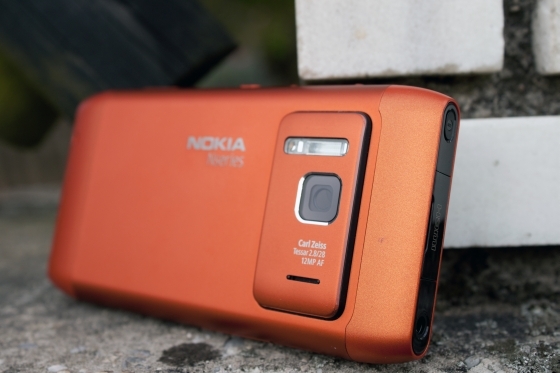 It is the cheaper terminal depending on their performances within the range E Nokia, designed specifically for business. As Kote commented after his presentation: safe design and materials, has little to envy the Nokia E5 to consecrated phones of the same series as the E72. It gathers to a set price QWERTY keyboard, connectivity HSDPA and WiFi, GPS and 5 MP camera with LED Flash. The system, Symbian S60, includes the service Nokia Email email in real time. At Vodafone, the phone can be purchased associated to the Royal Mail data rate 15 euros per month and any voice for freelancers or business rate. The terminal will free carry that number and the price will vary for new high according to the rate of voice. In Orange, the Nokia E5 will go on sale from 0 euros for new self-employed customers and company, hiring the Mail flat rate and Internet Plus 10 euros per month. Current customers of the same category may acquire it by points.